concrete5 has Accessiblity, which allows toolbar title / large font size. These settings are sitewide, by default. This addon allows each user to enable or disable toolbar title / large font size. Some users choose a large font size, while other users can choose a normal font size. 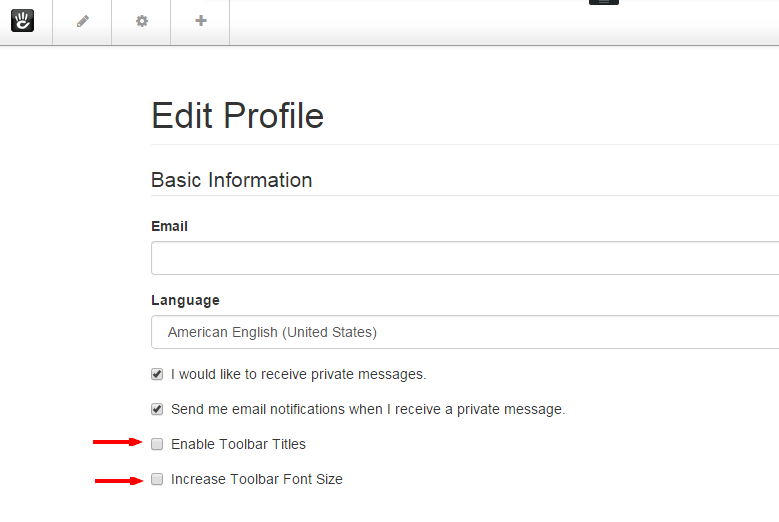 Each user can set his/her preference in Edit Profile page. My another addon Link to Edit Profile might be a help.